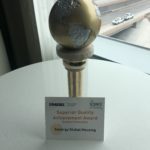 The industry recognition keeps rolling in for Synergy Global Housing! We’re excited to announce that our Asia-Pacific (APAC) team received a nod from Graebel Relocation as the “APAC Partner of the Year.” This award is an endorsement of the hard work and dedication of our entire APAC team! Synergy Co-founder Jack Jensky and Managing Director of Global Solutions Katie Lim had the honor of accepting the award on behalf of the APAC team during Graebel’s 4th Annual Partner Summit in Singapore, at the Andaz Singapore, on Monday, March 18, 2019. (Check out a photo of our team winning the award on Synergy Global Housing’s Facebook page.)  The theme at this year’s event was “Creating Exceptional Human Experiences and Winning Together in 2019 and Beyond,” which is certainly a perfect match with Synergy’s mission, both as a supplier partner and temporary housing provider. The APAC Partner of the Year Award was one of three awards given by Graebel this year, and was voted on not only by Graebel management, but also by individual team members within the APAC Graebel team. Synergy competed against not only other corporate housing providers, but also movers and DSPs, to be designated by Graebel as the best partnership and overall partner of the year. In addition to the award presentations, Graebel’s supplier development team also shared successes and 2019 initiatives with attendees. Graebel’s CEO, Bill Graebel, facilitated the session, along with several other top Graebel executives, including Andrew Pierce, VP of Supplier Development; Akhbar Hameed, VP of Asia Pacific; and Alben Ngo, Senior Director of Business Intelligence. Graebel is a key industry player, serving clients who are industry leaders of the Fortune 500 and Global 100, in a wide range of industries including finance, government, healthcare, manufacturing, and telecommunications, to name a few. Since launching in 1950, the company has expanded from a local relocation provider to a top global mobility firm serving 165 countries, which remains family owned and independently able to provide customers with exceptional levels of service in both workforce and workplace mobility. We’re thrilled that our work in the temporary housing market stands out at an award-winning level. We look forward to keeping you posted on our growing list of recognition throughout the rest of 2019 and beyond!